US Capital Global Securities (“USCGS”) is offering 160 Membership Units in USCIM Fund XIX Simply NUC, LLC (“Fund XIX”), a pooled investment vehicle, on a “best efforts” basis. The Fund XIX will be managed by San Francisco-based asset management firm US Capital Global Investment Management, LLC (“USCIM” or the “Manager”), investing in Preferred Stock of Simply NUC, Inc. (“Simply NUC” or the “Company”). The Company will use the new financing for inventory purchases, additional team members, international expansion research & development and working capital for current and future business needs. Simply NUC, Inc. shall issue Series A Preferred Stock through a private placement of $8.0 million that the fund will purchase as a result of the offering. 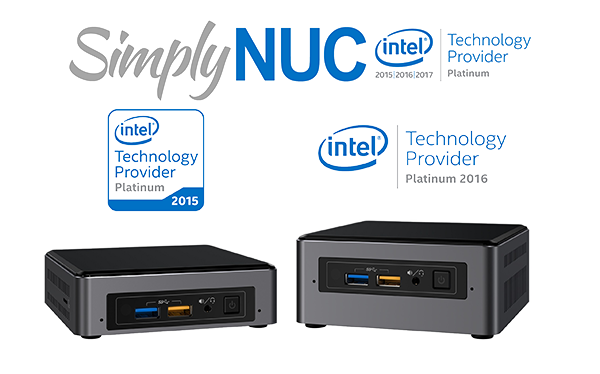 Formed in May 2015, Simply NUC, Inc. is an Intel Platinum Technology Partner. The company specifies, customizes and assembles the pocket-sized portable PC sold as the Intel® NUC (Next Unit of Computing), and also provides support, bundled solutions and peripheral services for their products. Simply NUC currently has 13 employees and it is based in Round Rock (Austin), Texas. Simply NUC products consist of Ultra Small Form Factor (USFF) computer devices based on the Next Unit of Computing (NUC) form factor introduced by Intel. Simply NUC fills the gap between Intel and the end customer creating a unique and powerful relationship between the two companies. There are over 200,000 variations of the NUC with customization such as fan-less technology as well as memory storage, and software upgrades available. The company also provides expert advice, testing, service, warranty and support of Intel® NUC kits, systems and accessories. While a NUC can be purchased by anyone from many resellers, the device itself ships from Intel as a “barebone” unit, meaning the end user needs to purchase and configure multiple hardware components including the RAM, hard drive, peripherals and have a sufficient knowledge of computers to install an operating system along with its correct drivers. Simply NUC offers one place to easily configure, price and purchase fully functional NUC computers that come with technical support and warranty services as needed. The company acts as an original equipment manufacturer (OEM) for the NUC platform, offering the same type of services for NUC as the large OEMs such as Dell, HP, Lenovo and others, offer for their own products. They carry most accessories available for NUCs in one place, making it easy for customers to purchase the product. Simply NUC also offers industry-standard Net 30 terms to allow larger firms to purchase via their standard procurement methods. The Company generates revenue through three main channels: directly through its website, through Intel Demo Program (a direct link on Intel’s site provides 1-3 leads daily), or through returning customer orders. On average, based on the 2015 and 2016 data, 63% of total revenue is generated through the sales of NUCs, 31% through the sales of its components, 1.5% through the sales of accessories, 0.4% through the sales of NUC Solutions, and 4% through other products. Intel has a roadmap for future NUC models, which includes jointly developed products such as the Digital Security and Surveillance bundle. These items are provided to Simply NUC in pre-production models to provide additional time for the release into the market. Intel contributes significant resources to their joint marketing efforts via funding and management support, as well as direct links on their Intel purchasing website. Simply NUC is the only full NUC System Integrator to be featured on Intel’s main “Buy” page. Simply NUC is also leveraging Intel’s hundreds of internal and field sales representatives, who are incentivized to sell Intel based products to large organizations. Simply NUC is given access to these representatives and will continue to attend Intel events and receive referral business from these Intel employees in the field. In terms of expansion, Intel has requested Simply NUC to create plans for distribution to Europe and Asia. In Q1 2017, research by Context show the number of mini PCs going through distribution in Western Europe went up by 26%. The UK has already been selected as a Simply NUC second base with a distributor ready to initiate supply and final location being selected in August 2017. Mr. Rowsell has been in technology management positions for more than a decade and has extensive experience and contacts at Intel and several other major technology companies. The former COO of a startup hardware company, he has led teams in PCB design, manufacturing, new product introduction and sales. Mr. Rowsell holds a Finance degree from the University of Utah. Mr. Abdouch is a 35+ year industry veteran who has extensive experience in software as well as hardware engineering. Early in his career, he was hired by Intel to solve complex issues they were having. After successfully resolving these issues, he was invited back time and again to resolve other complex issues, such as rewriting the entire Hard Disk BIOS code to work with large drives and mixed manufacturers. Mr. Abdouch worked with Dell to develop the first working code to use Hyper-Threading processors, which is standard today. With HP, he worked with the EFI BIOS team to help develop the original EFI code, as well as worked in the hardware team developing the first modular Itanium Server. For Newisys, he developed code that broke the 64GB limit of System Memory on a 32-Processor Opteron Server. Mr. Abdouch has also created a custom UEFI BIOS from the ground up and led teams developing AMD and Intel-based hardware platforms from concept to mass production. Pro forma data are contingent to a successful and full completion of the proposed $8,000,000 Offering and execution by management team. * 2015 financials are for the period from inception May 18, 2015 through December 31, 2015. Key risks are listed on page 5 which may impede the achievement of the forecasts and valuation appearing herein. 1. Equity contribution for 23,519 shares in Simply NUC, Inc. at a $35,000,000 valuation. The Company’s current valuation is based on Discounted Cash Flow model and Comparable Company analysis. a). This includes inventory purchases of $500k and other working capital. b). This includes expenses for general marketing ($400k), management team additions ($600k), building out a government sales team ($150k), moving to a larger US facility ($70k), building out a US sales and operations team ($150k), new solutions R&D ($800k), expanding into China and Europe ($500k), and software development ($250k). c).The Company is planning to retire its outstanding debt. The Company received a business loan from Can Capital with an outstanding balance of $46k, maturing in Dec 2017 and received personal loans from individuals with an outstanding balance totaling $165k. d).The individual to be bought out is a non-operating ex-partner of Simply NUC, Inc. The Company agreed to pay the individual a total amount of $250k, with an initial $15k due and payable by July 1, 2017. However, if the Company pays an amount equal to $200k by Sept 31, 2017, in addition to the initial payment of $15k, then the agreement shall be considered paid in full. e).Transaction Fees consist of USCGS placement agent fees of $400k of the closing amount raised, and an annual management services and administrative agent fee of $35k, with initial year’s fee payable from first close proceeds. You should be aware that an investment in Units of the Issuer, and the Issuer’s investment in Simply NUC, Inc. Securities, involves considerable risks, including the possible loss of all or a material portion of your investment. The abbreviated risks set forth below, as well as the detailed risk factors set forth in the Confidential Offering Memorandum and Supplement, are not the only risks facing investors. Competitors in the industry have greater financial resources and experience than the management or the Company. The Company is an early-stage company with an unproven business model, a new and unproven enterprise technology model and a short operating history, which makes it difficult to evaluate current business and future prospects and may increase the risk of your investment. The difficulties Company faces in managing rapid growth in personnel and operations. Pricing pressure could adversely impact Company’s planned pricing structure and have an adverse effect on Issuer’s results of operations. The Company is dependent on market acceptance of new technology introductions and innovations for revenue growth. The Company does not currently have any patent registrations for its proprietary software, documentation, and other written materials. Company relies on 3rd party for product supply and distribution which may impact the Company’s ability to execute on its product development plan. The Company is reliant on Intel for certain sources of sales leads, inside knowledge as to new product models, collaboration on solutions and joint marketing assistance. Should something happen that affects the Company’s relationship with Intel or causes them to change some of the Company’s current collaboration efforts, it could slow the growth of the company. You will have little control over operations of both Company and Issuer. You will have limited voting rights and will have no control over the Company or Issuer management and must rely almost exclusively on the management. There will not initially be a market for your Units in the Issuer and Issuer’s shares in the Company, and there will be restrictions placed on transfer of either. Investors must understand that by purchasing Units they are voluntarily assuming all of the risks of the investment, including any and all risks relating to the Company and the Company Securities, whether disclosed in the Offering Memorandum or this Supplement or not.